Walking through the backstreets of some forgotten Neopolitan neighborhood, I had no idea if I was going in the right direction. Even Google Maps seemed confused. I knew I was close. Or I knew I should be. 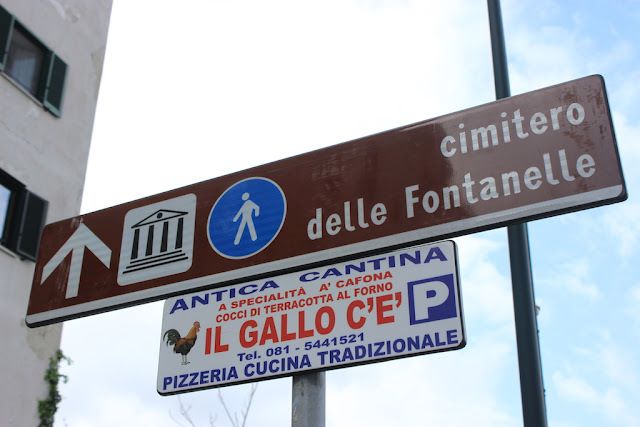 At the top of a steep staircase, a sign pointed me towards the Fontanelle Cemetery, though I still did not trust it. Down the stairs and along a street I found what seemed like an Italian shanty town, men sitting on chairs in the streets watching the emptiness pass them by. Then, to the left, a hole in the wall opened up into the rock and I could feel the cold air against my face. I found the cemetery. The security guard at the gate just told me to go in when I waved. No fee. No bag check. Refreshing, but then again, what did the dead care if I had a bottle of water or a machine gun? 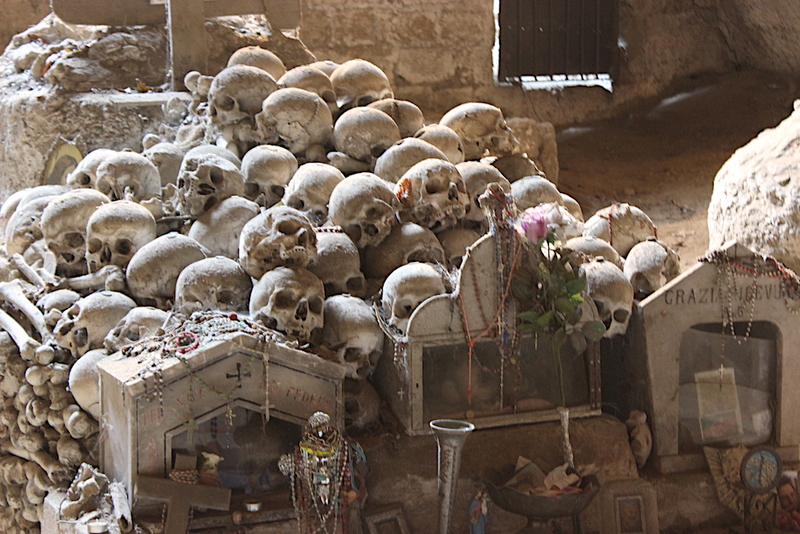 The cavernous collection of bones that awaited surprised me. I wasn't expecting something so haunting. It started in the 17th century and evolved into the resting place for Naples' nameless victims, including thousands from the plague. 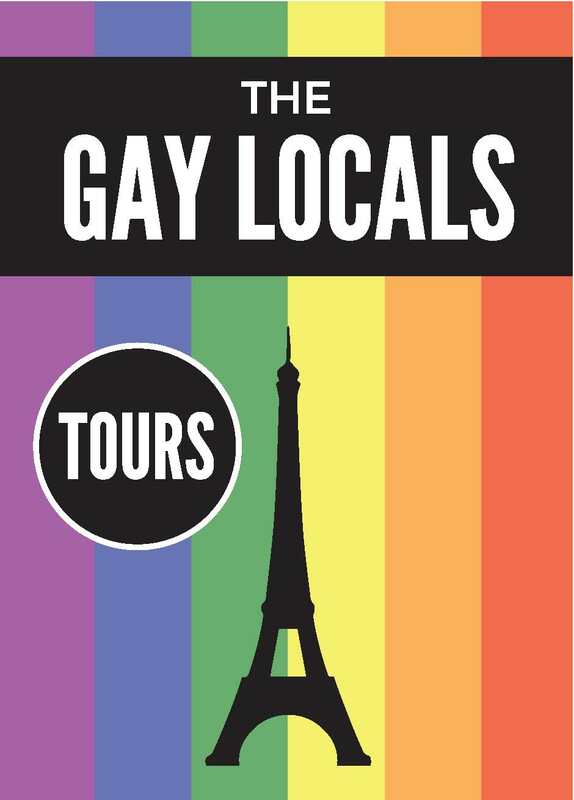 Today, it's one of the city's lesser known tourist attractions. 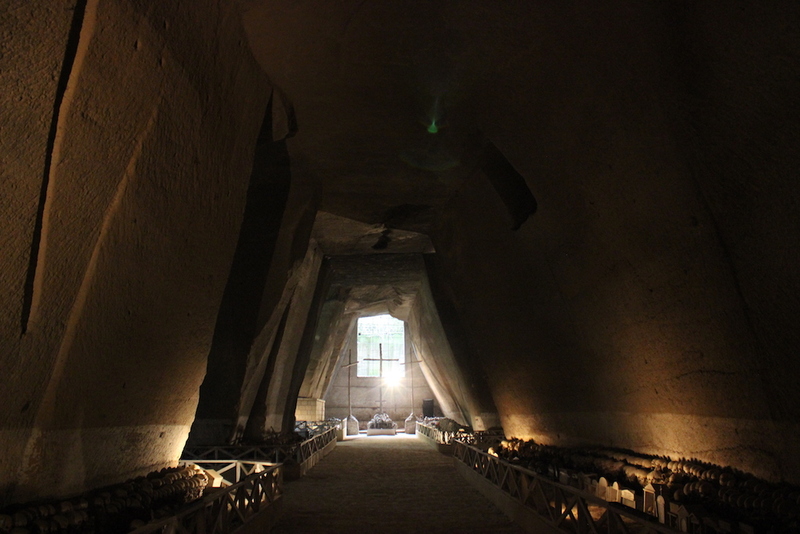 I walked through the carved out hillside, rock formed from volcanic ash, and felt like I was in some massive temple. Light flooded in from a a few strategic holes, but it's dark, cool, and dry as a bone. Cheap pun. 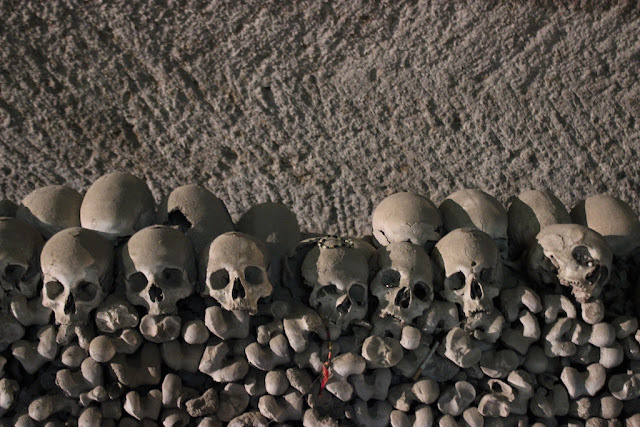 Bones are lined up along walls, with tokens left by locals asking for wishes or good fortune from the dead. 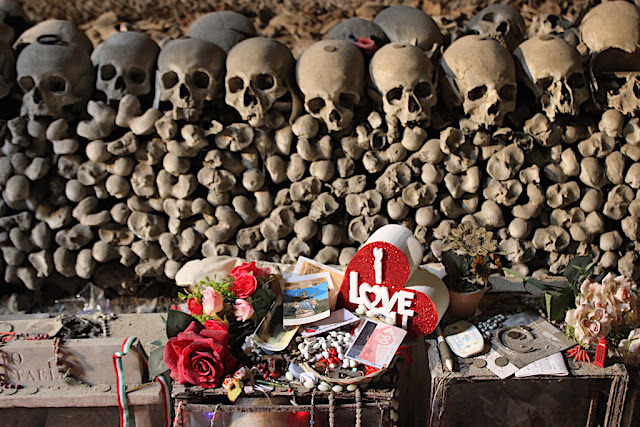 Many skulls are placed in tiny houses, by way of thanks for wishes come true, allegedly. Several coffins are out in the open with remains on display, including those of children. 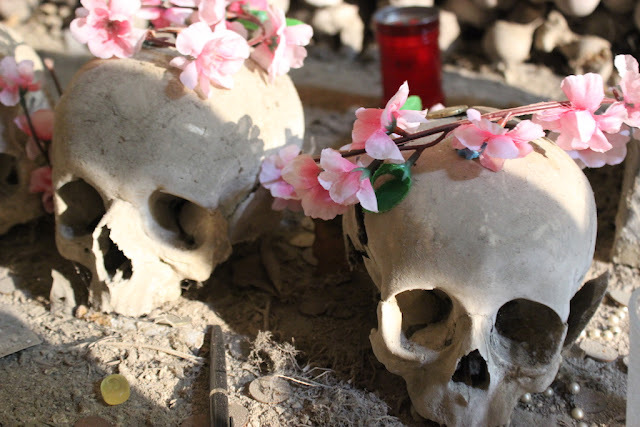 The ossuary makes no attempts to be anything but morbid. Perhaps in the summer it draws more crowds, but with little else to experience in this corner of the Materdei neighborhood, I doubt it gets too crazy. A group made its way through at some point, yapping in Italian. An American couple strolled in, startled by my presence around one of the corners. A French mother followed her daughter through the stacks. We were all marvelling.